We have the perfect party fun for you. 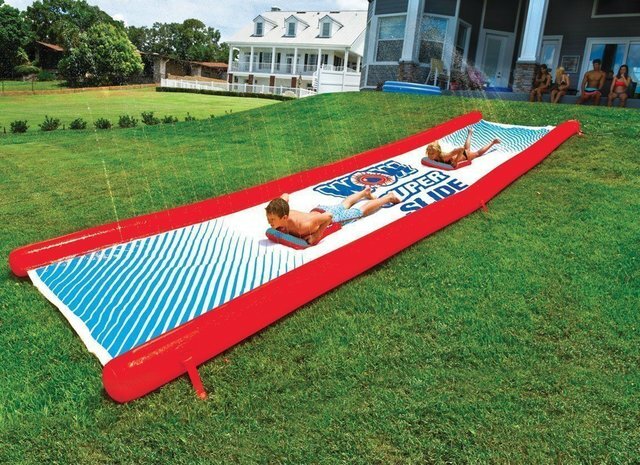 The WOW Super Slide is a giant 25' x 6' water slide for the lawn that will keep the kids entertained all afternoon long. Ready, set, go! Lets team up and see who goes faster. Everything its cooler with water slides.